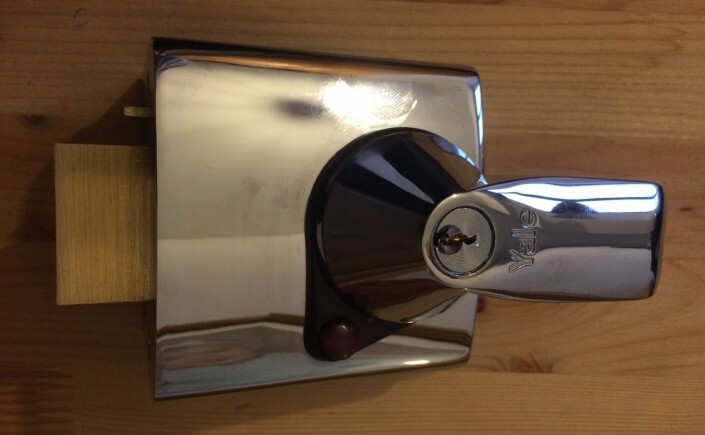 To replace a Yale Lock we suggest you read some information about the Night Latch Lock from LBP Locksmiths Brighton… The Night Latch is commonly known as a Yale Lock, the Nightlatch is found on most wooden doors across the country. The lock itself is a latch type lock (hence the name) which automatically latches when the door shuts; so make sure you grab your keys or you’ll get locked out! The Yale Lock can be retracted from the inside using the lever/handle/knob and from the outside with the correct key. The majority of lock styles come with a snib knob which allows you to deadlock the latch or hold back the latch if you’re taking the rubbish out for example. A warning from LBP Locksmiths Brighton; Beware, if you deadlock the latch from the inside the key will not work from the outside. This is why the snib knob should always be de-activated on communal doors, yet LBP Locksmiths Brighton still see’s communal doors where it’s been left active. 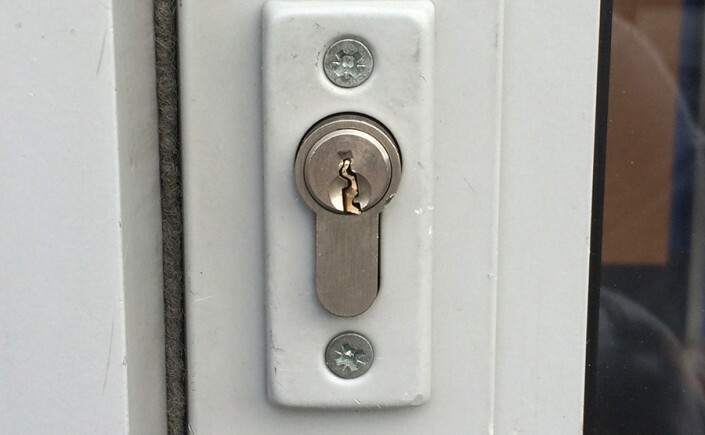 On occasion LBP Locksmiths Brighton has been called to properties where the door has been slammed and the snib knob has dropped down by itself, making the key on the outside useless. So if this were to happen on a communal door people wouldn’t be able to gain access to the building. The Nightlatch comes in many styles and types. Some can offer a high level of security and some can be very easily by-passed. The higher security versions are generally the British Standard editions which come with anti-pick, anti-saw and anti-drill features. The packaging on the higher security models should have BS 3621:2007 on them. 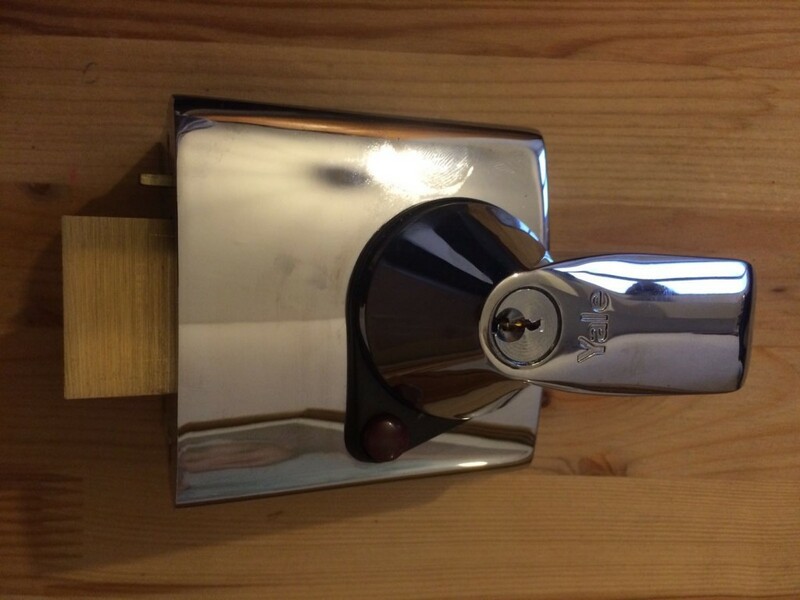 If you’re stuck or unsure, please call, email or send pictures and LBP Locksmiths Brighton will be more than happy to provide advice on which Yale Lock / Nightlatch is best suited to your property and budget. Dominos Pizza’s business is built around great Pizzas and fast delivery. We were happy they selected LBP as the Emergency locksmith with quick response time. It goes without saying that the best home security or business security is making it as difficult as possible to gain entry to. The best thing for that is having high security locks for your home, which LBP Locksmiths Brighton can advise on, supply and fit. Working late? Caught in traffic? If you can turn your lights on at home without actually being there, a potential burglar could be put off the thought of breaking into your home. LBP Locksmiths Brighton advises better home security by having sensor lights installed to the outside of your property. Burglars don’t want to be seen, so show them up at your home by shining bright light on their despicable behaviour. Unless they have nerves of steel they’ll be instantly put off and run away. Going away for a romantic weekend? Working somewhere exciting abroad? LBP Locksmiths Brighton advises that you don’t announce it on social media no matter how much you want to tell people. Computer hacking may or may not be required here, depending on whether or not you have privacy settings on your social media profiles. If you do have privacy settings in place the hackers could find out and if you don’t have privacy settings then you’re announcing it for anyone to read. Keep it to yourself and tell friends and family in person. Another home security tip is to install gravel. 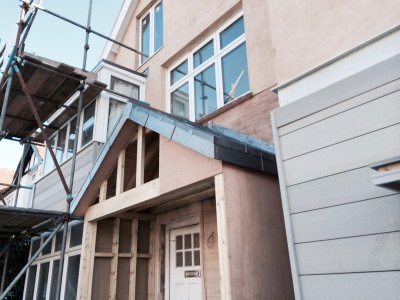 If the door to your home or business is set away from side of the street, why not have gravel or pea shingle covering the ground. Gravel is impossible to walk over without making noise. Noise attracts attention. The last thing a burglar wants is attention when they’re about to commit a crime. LBP Locksmiths Brighton recommends gravel! Recently purchased something valuable for your home? Again, stay more secure and don’t share the information on social media. Also, if this valuable item came in cardboard packaging which states what it is in plain English on it, don’t put it outside your home, in your bin or recycling boxes. Take it to the tip immediately. Alternatively most big supermarkets have recycling depositories, LBP Locksmiths Brighton advises you to take it there and dispose of it straight away. LBP Locksmiths Brighton advises you to change the code on your alarm system on a regular basis in order to gain the maximum benefit from the security they provide. Another home security tip is DON’T leave keys in locks or within eye sight. Do – leave the radio on, leaving the radio just loud enough to be heard from outside the property has been proven as a burglary deterrent. Windows – make sure your windows lock properly. Windows that don’t lock properly are a quick and easy way to gain access inside a building. Give your windows an outer shell of protection – LBP Locksmiths Brighton advises having metal grilles or bars fitted which protect the windows. Grilles and bars can look decoratively good, providing they’ve been manufactured by reputable metalworkers. The Union detainer lock had seized up and couldn’t be operated. 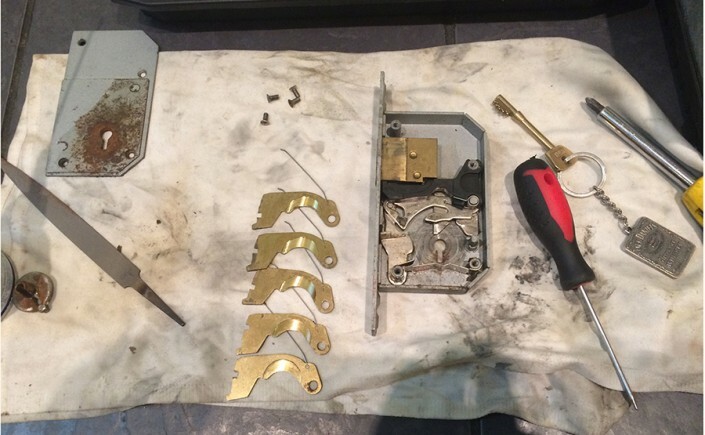 LBP Locksmiths Brighton were called out on an emergency lock repair job. LBP took the detainer apart in order to determine where the problem was. After cleaning and reassembling all the components it became clear the bolt thrower was faulty, so this was replaced. 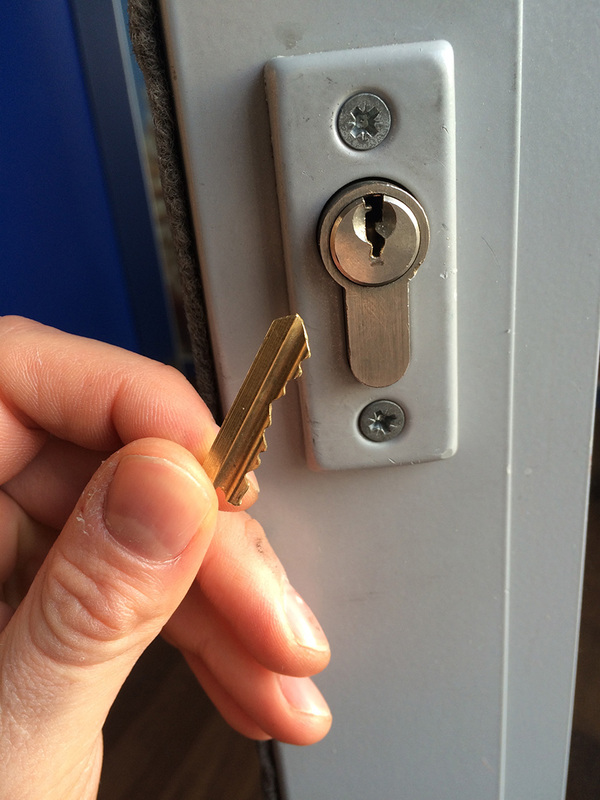 LBP Locksmiths Brighton left the premises with the lock operating as it should and the problem solved. 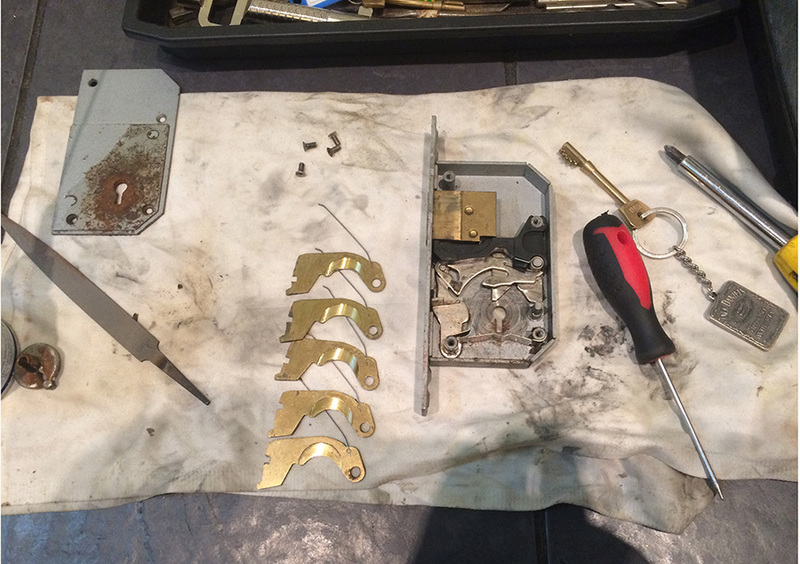 Sometimes a repair can be carried out on locks, rather than replacing them.